I wish I could say it was a diamond but there are some serious missteps that keeps this game from being a favorite. When I first played an Eipix Entertainment game, it was everything I ever wanted out of a HOG. The game in question was “Final Cut: Death on the Silver Screen” and I loved it from beginning to end, more or less. Sure, it wasn’t perfect but it’s what put Eipix on my radar and made me dig into their already pretty impressive library for such a young studio. 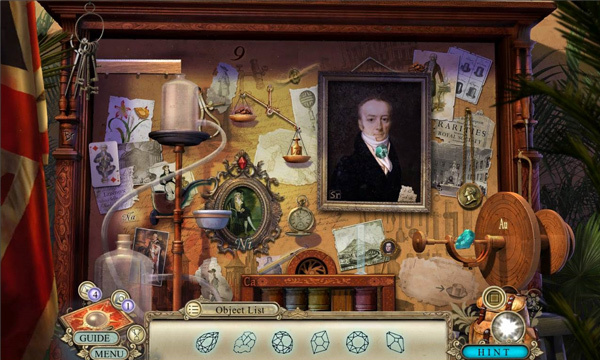 I didn’t necessarily fall in love with “Amaranthine Voyage: The Tree of Life” but the subsequent game in their library, “Off the Record: Linden Shades“, was again everything I need out of a hidden object game. But ever since my love for Eipix has wavered ever so slightly. The sequel to “Death on the Silver Screen”, “Final Cut: Encore“, went a little too far in the fantastical direction and “Fearful Tales: Hansel and Gretel” didn’t play around with the concept enough, in my opinion. Dark Parables it is not. But on the flipside, “Myths of the Worlds: Chinese Healer” brought back everything I loved about Eipix even if the sequel, “Myths of the Worlds: Stolen Spring“, felt a bit too streamlined for my tastes. 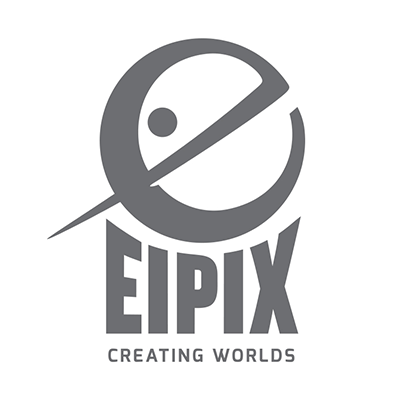 What I’m getting at is that my opinion of Eipix has gone from solidly awesome to mixed. But then I also realized that it’s partly my own fault. You see, there are two ways to design a HOPA: linear and hub. And Eipix, as far as I can tell, for the most part go for a linear style, meaning you progress from area to area continuously and never really go back. On the other hand you have the hub-based design where returning to areas over and over again is the main idea, much like old adventure games that often had you return to places with new items and knowledge to progress in the narrative. So why is it my fault? Well, the thing about me is that I’m fickle. Sometimes I like linear and sometimes I like hubs. It tends to depend highly on what I’ve been playing most recently as too much of either will make me favor the other kind more. And I think in that sense, Eipix has just been… unlucky. Which spells double trouble for this game because I’ve never been much of a fan of the Hidden Expedition games. 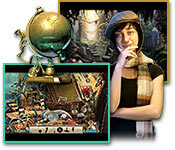 Hidden Expedition is one of the grandfathers of hidden object games. And they really were HIDDEN OBJECT games unlike today where the games are much closer to adventure games than their origin genre. The gameplay was simple, find all the objects on the list before time ran out then do it all again when you’re done in that area. The first game in the series, “Hidden Expedition: Titanic“, had you explore the sunken Titanic in search of a particular trinket. “Everest” had you climbing Mount Everest and “Amazon“… well, it’s pretty self explanatory at that point, I think. 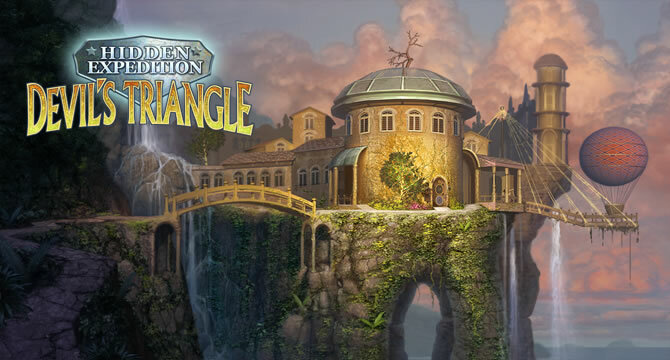 Hidden Expedition may not have been the very first hidden object game ever but it definitely helped set the stage for today’s current situation where we practically see a new HOPA released every day. Or at least, every other day. Seriously, Big Fish Games’ motto is a “A new game every day.” and they’re not joshing. Not a week goes by they don’t release a handful of new HOPAs. But I’ve never really gotten into the Hidden Expedition games. I tried them out but they were far too basic for me to ever really enjoy. I don’t necessarily have anything against a game that focuses entirely on the “Hidden Object” part of HOPA but they simply got too repetitive far too quickly for my taste. As such I never actually finished “Titanic”, “Everest” or “Amazon”, at least as far as I can remember and it was only with “Devil’s Triangle“, the fourth game in the series, that I sat up and took notice. Suddenly there was a story about Bermuda Triangle, a crazy inventor, clockwork Mona Lisas running around and there was a delightful air of crazy about the whole thing. “The Uncharted Islands“, the direct sequel to Devil’s Triangle, continued this direction with space rockets made out of wood and powered by gunpowder, undersea creatures that run a junkyard and a pirate that wants to take over the world. In other words, it was way more up my alley than anything in the series previously. So I was just a bit disappointed when I realized Eipix took the series into a more realistic direction with “Smithsonian Hope Diamond“. You are the newest member of H.E.L.P., Hidden Expedition League of Preservation, and on your first day you unknowingly step right into the adventure of a lifetime. Thieves are after the lost shards of the Hope Diamond and only you can stop them in time. The adventure will take you from the Smithsonian to many corners of the world where you will see sights of wonder and face terrible dangers. Are you up to the task? The story starts with the protagonist stepping out of his or her taxi at the Smithsonian only to be immediately thrown into a test to see if you are truly worthy of joining HELP. To say that this test is extensive and ludicrously planned out is an understatement and the Hidden Expedition organization sure goes to great lengths to make sure they’ve hired the right person for the job. And the Smithsonian is in on it too, the entire castle is built like something out of Indiana Jones. In fact, that’s what this whole thing reminds me of. The team behind it clearly hold great reverence for the whip wielding archaeologist teacher as the adventure starts out much like how you imagine an Indiana Jones movie would. And the structure is similar as well and at times it’s even a little too much on the nose, coughworldtravelbywayofmapcough… man, I must be coming down with something. Unfortunately it’s never quite as exciting as the Indiana Jones movies were but Imagine they’d get stale if they were spread out over 4-5 hours and didn’t have enough plot to fill a Saturday morning cartoon. Just about all of the fantastical aspects of the world portrayed in “Devil’s Triangle” + “The Uncharted Islands” are gone and we travel a world seen in just about any cut and paste HOPA these days. It never gets much more exotic than some ruins in a jungle in India which is far from the Bermuda Triangle’s fantastic setting. Most of your time, however, is spent in the Smithsonian Castle and Museum of Natural History, simply setting out on the journey and once you leave the museum it’s a race to the finish line at, quite frankly, dangerously fast speeds. Very little time is ever spent on exploring the world and even less time on actually establishing the villains as anything but mooks and thugs. The story never becomes anything more than an excuse to move from place to place. And moving from place to place is all that you do. The game is a strictly linear affair with areas cordoned off one by one as you progress. When you’re done at the castle you can never go back. Same with the museum and every other place you find. This limits the amount of world building and you never feel like the environments are important. If you do intend to use a linear design then every place you go to have to feel more impressive than the last. But here they’re sort of run of the mill, too real to leave an impression in a genre over saturated with games that do “real” much better. I do realize that in including a no doubt lucrative deal with the Smithsonian, their hands were somewhat forced in what they were allowed to do. After all, the Smithsonian has a rep to protect, as it were, and weren’t about to let them fly off to other planets and the like, at least not on their first outing. This deal is no doubt why so much of the game is set in the castle and museum, as well, showcasing real life locations meant to “inspire” the player to actually go visit the real place. Of course, any boring, old story can be saved by good gameplay and while the game in no way is bad in this regard, it never really gets my brain juice flowing either. I’ve said it before and I’ll say it again, puzzles that scale with the difficulty would have me playing on the highest difficulty every time but this is another time where I don’t feel the difficulty simply isn’t there. I say the game is about 4-5 hours long but I’m just guessing what it would take other people to play it as it only took me about two hours. Mostly because the puzzles simply weren’t that challenging. I breezed past most of them without skipping and the hidden object scenes themselves never really had me bothered either. 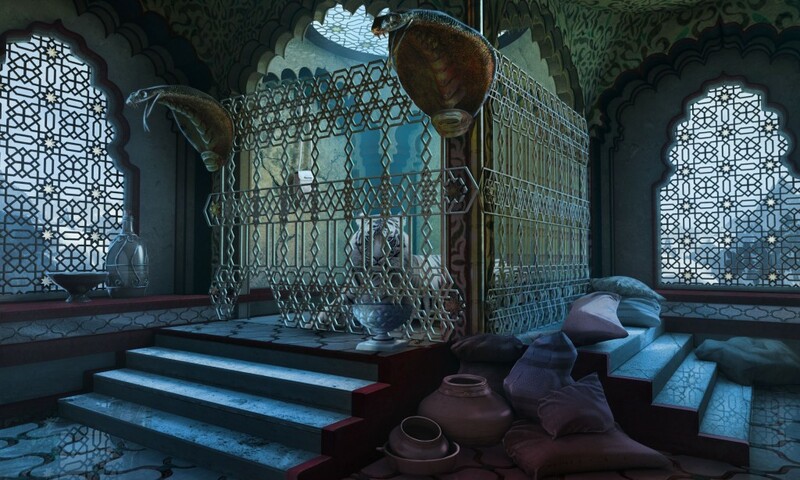 Most of the puzzles were the same ones we’ve seen in just about every HOPA in recent years and they never truly got outrageous enough to be memorable. In Eipix’ defense, and as a plus for the game, they did do their best to liven the hidden object scenes up as much as they could, constantly trying to shift your perspective rather than always having you look for objects on a list. I wish more games went to this length to do that and it’s some comfort. There’s also a part where they pay homage to the previous games in the series in the bonus chapter. THAT I liked. The art definitely holds up well and this is one area where Eipix never really lets me down. They have some great artists working for them and they’re capable of pushing out great stuff in a relatively short period of time. I do wish they’d get back to using more live actors cut into the game like with their first game. It may look hokey but to me it always lends the game a bit more personality. Sure, seeing the same actors in game after game may not be everyone’s cup of tea but to me it built familiarity. Audio wise the game is okay, there’s some good voice overs but nothing to really write home about. Same can be said about the music, while not bad it’s definitely not what I would call memorable. Listening to it afterwards, as it was included in the collector’s edition, evokes no real emotions or excitement. It compliments the scenes so I can’t really hate it for doing its job, even well, perhaps, but on the other hand it also feels underwhelming. Supposedly exciting scenes never really reach the peak thanks partly to the music and it lacks that one song, the theme if you will, that will forever make you think of this particular game. A recurring problem in modern game design but I digress. Ultimately, however, despite the praise I have, I wasn’t a big fan of the game. Nothing it did presented me with anything new or challenging and it felt like a pretty big step backwards and in a new direction from the previous game in the series. And while I realize their hands were tied by their deal with the Smithsonian, other aspects just feel lacking to me. This is what I assume all homes in India look like. Tigers in cages and snakes oh my. But is this entirely the fault of Eipix? Both yes and no in a weird sort of way. They definitely designed a game I didn’t care too much about and that is entirely on them. I may be good at hidden object games, perhaps a bit too good these days, but I still cannot change the design of a game. But on the flipside, maybe this game just wasn’t meant for me. I was never a big fan of the three first games in the franchise and this game definitely looked more to them for inspiration than to the previous two. Dialog definitely suggests you were the person you played as in the three first game but your status as a newcomer suggests not the same as in the two most previous as that person was already a member of H.E.A.T., Hidden Expedition Exploration Team. So are the two previous games no longer canon? Hard to say just from this game. But where does that leave me? Well, just a bit on the outside and I’m not really trying too hard to look in. People on the inside will probably enjoy this game a whole lot more than me and that’s really all the review I can give you. To me, it’s a generic HOG any studio could push out in a relatively short amount of time so to me it’s a bit sad that it’s Eipix behind it. But to others it could be exactly what they want. Which group you belong to, well, that’s something only you can answer. 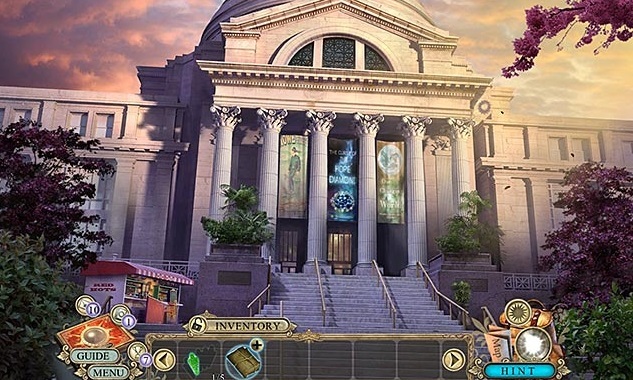 Hidden Expedition: Smithsonian Hope Diamond was created by Eipix. To find out more about the game or try the free demo, go to Big Fish Games here.